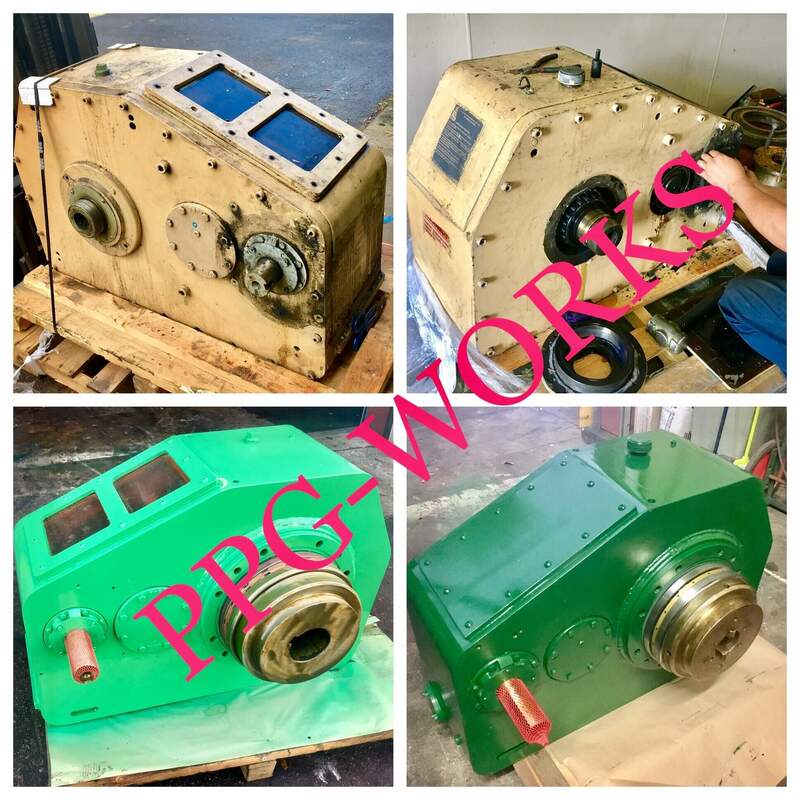 You might not know it by looking at this image, but this is a before and after of a Lufkin Gearbox Repair done by PPG Works. 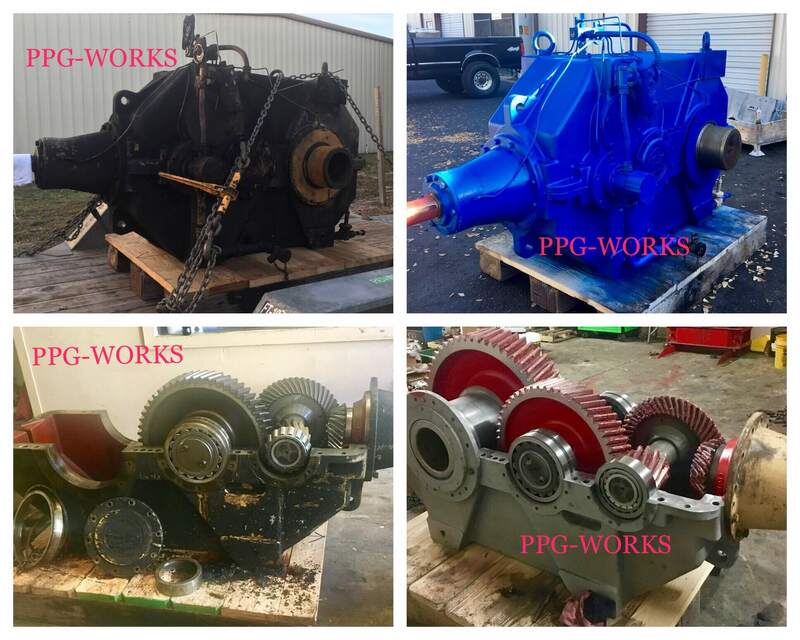 PPG Works is your top Industrial Gearbox Repair shop with locations throughout the United States. PPG Works has an extensive background and repairing the Lufkin Gearbox better than anyone in the business. You can rest assure that your Lufkin Gearbox Repair job will be done right, on time and within budget with PPG Works. PPG Works repairs and rebuilds Lufkin Gearboxes. You can say we are the experts at Lufkin Gearbox Repair. If you have a Lufkin Gearbox that needs to be rebuilt or repaired call PPG Works for a free quote. We can have your Lufkin Gearbox Repaired quickly and efficiently. Contact PPG Works at 713-862-6200 or Email [email protected] directly. We look forward to working with you on your Lufkin Gearbox Repair job.